There used to be ( probably still is) a retail chain in The Netherlands called ‘Xenos’. I loved having a nosey there, taking in all the strange and foreign things for sale. They had canned papaya, and different tropical sauces. They had bamboo mats and brightly coloured textiles. I can still remember the smell when going in there as even that was foreign. Auckland is a bit like that. The multicultural world in Auckland is one of the things that makes living here such a great experience. In last year’s census 213 ethnicities were identified in NZ, more than official countries in the world! And this brings with it all the wonderfully different habits, words, tastes, produce, festivals, clothes, art, music and products. And it is not unusual anymore in Auckland. Most local fruit shops in any suburb will have a selection of veggies, fruits and products to go with those that would not have looked out of place in the old Dutch Xenos. And a lot is not even imported anymore but grown and produced here on local NZ soil. Xenos actually means foreign or strange. Which here in Auckland it is no longer. 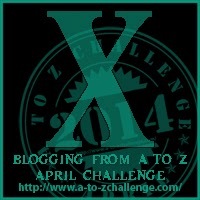 This entry was posted in A to Z challenge and tagged food, foreign, multicultural, nz, xenos. Bookmark the permalink.